If you suspect your business or commercial property has mold, it is important to identify the source of the mold and remove it as soon as possible. Mold can cause large disruptions to your business and should be removed as soon as possible by a trained professional to protect the health and safety of your employees, customers and clients. ERX Emergency Restoration Experts specialize in the testing and removal of mold, and is available to help your business today. 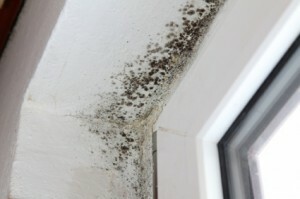 If you suspect mold, don’t hesitate to call a professional at ERX Emergency Restoration. Several types of mold can be toxic, and many people are allergic to mold. The safest, most secure and most effective option is to have a professional mold inspector check your property and remove the mold. We recommend that individuals do not attempt to remove mold themselves as it is very easy to disturb mold spores, which can lead to inhalation of the spores and can cause the mold to spread to other areas of your property. If you believe your business or commercial property has mold, call ERX Emergency Restoration Experts in Las Vegas today to schedule a professional and confidential mold test and consultation.